Advances in video and wireless technology (and the introduction of faster broadband) have resulted in a growing demand for security cameras. Long gone are the days of replaying hours of tape; today’s cameras are more affordable, with footage easily viewed, stored and instantly retrieved. With so many different types of security cameras available, how do you identify the right option for your household? Do you even need security cameras and, if so, how many cameras should you install and where should they be positioned? Do you grab an off-the-shelf product or call in the experts to provide professional advice? Our guide to security cameras covers all of these questions and more. Regardless of the type of property you live in, home security cameras can be an effective warning sign to would be burglars and also enable visual verification of events if required. With a choice of indoor and outdoor camera options, and the ability to access vision remotely through a smart device, it’s easy to see why interest in home security cameras is growing. Do I need CCTV or standalone Wi-Fi cameras? The two main home security camera options are standalone Wi-Fi cameras (also known as lifestyle cameras) and CCTV (closed circuit television) systems. Lifestyle cameras operate as a standalone unit through an internet connection and can be placed anywhere within the home making them the perfect adaptable solution for any style of property. CCTV adds another layer of security to your home using an NVR (networked video recorder) that provides many variable options that can be tailored to your home’s specific requirements. Easy to install and able to be expanded as needs change, a lifestyle camera set up allows you to view live feeds of your home or saved security recordings using your smart phone, tablet or computer. These cameras can capture motion or event-triggered video clips, making it easy to find exactly what you want to watch later. Visuals can be sent directly to you via push notification or email, for example when the front door opens, a notification will be sent when motion is detected. Lifestyle cameras are an affordable extension of a monitored home security package, allowing you to check in on the house from anywhere at any time while having a 24/7 support centre on hand if needed. With technology continually evolving, some lifestyle camera models now feature infrared radiation (IR) night vision, wider dynamic range, adjustable sensitivity and high definition (HD). ADT lifestyle cameras offer all of these features. The ADT Indoor Camera comes with a sleek compact design, flexible mounting options and secure cloud recording. Look out for increased Wi-Fi range in the newest models, for even greater flexibility when positioning cameras around the home. The ADT Outdoor Camera is suitable for both indoor and outdoor use, features excellent low-light performance, a weatherproof case with UV protection and a night vision range of up to 12 metres. If you would prefer non-stop 24/7 recording, ADT offers a comprehensive CCTV solution that may be tailored to each property’s security requirements. CCTV is commonly used in outdoor environments to provide more insight into what has transpired on your premises. Whether you’re away from home for a day or a longer period, your CCTV system is still active and recording in the background. ADT customers can also set their CCTV cameras to ‘motion activated’ mode and have the ability to connect up to 16 high resolution cameras. The system is simple to operate and view the home from different angles. These systems can include multiple recording resolutions and are connected to a networked video recorder (NVR) that captures and stores footage. A CCTV system requires a wired installation of robust camera units that are built to withstand vandalism and severe weather conditions. They also offer high quality vision, with an average resolution of 6MP significantly greater than standalone lifestyle cameras. The cameras can be viewed on both a split screen monitor that displays a visual feed from each camera, as well as remotely via a smart device. 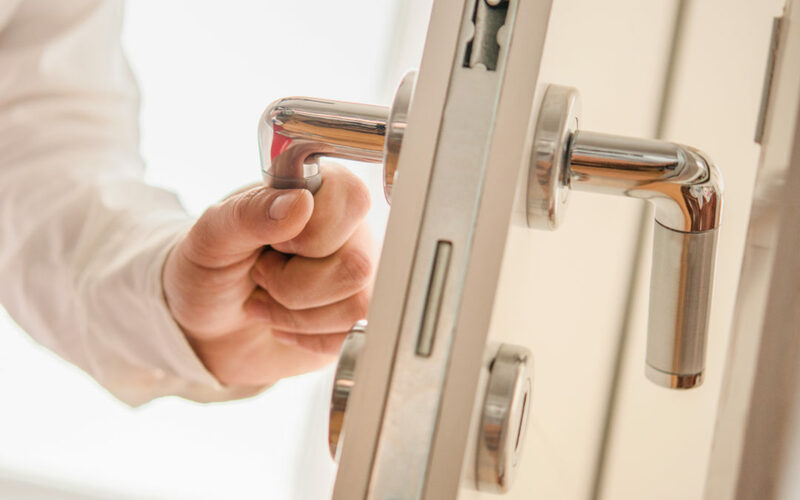 For those that take their security seriously, consider the benefits of professionally installed cameras that are backed up with an alarm system and back-to-base monitoring. Security professionals are trained to identify things that the average home owner may not consider; they know where to effectively position security cameras, will ensure that the right type of camera is installed, check there’s nothing obstructing the camera’s view, and identify which viewing angles work best.